Just when we thought we were completely over the whole Millennial Pink trend, something rather magical happened backstage at the Alexander Wang S/S 18 show that has us reconsidering it. No, it wasn’t a trendy pink manicure or a wash of pastel pink eye shadow, but rather Stella Lucia’s rather incredible new hair colour—rose quartz—hues of pink and amethyst that have been layered with a "secret" colour to make it look even cooler. Keep scrolling to find out how Josh Wood created this über-cool look. Where Barbie meets punk rock, amethyst hair is a little bit mermaid and a little bit Kate Moss circa ’99. It’s the sort of off tone you’d expect a pink T-shirt to turn after an unfortunate spin in the washing machine with a black sock. And it’s that grey filter that makes the shade far grungier (read: cooler) than the pastel pinks of seasons gone by. So how did he do it? First, Wood applied grey and titanium tones as an undercoat before layering with Redken’s Pastel Pink and City Beats Midtown Magenta. The result? A kind of tie-dye pinky-purple effect that looks just as pro as the most precise balayage. What's more, the beauty of the "washed" colour effect means that even when your roots start to show, they'll simply add to the watercolour aesthetic. 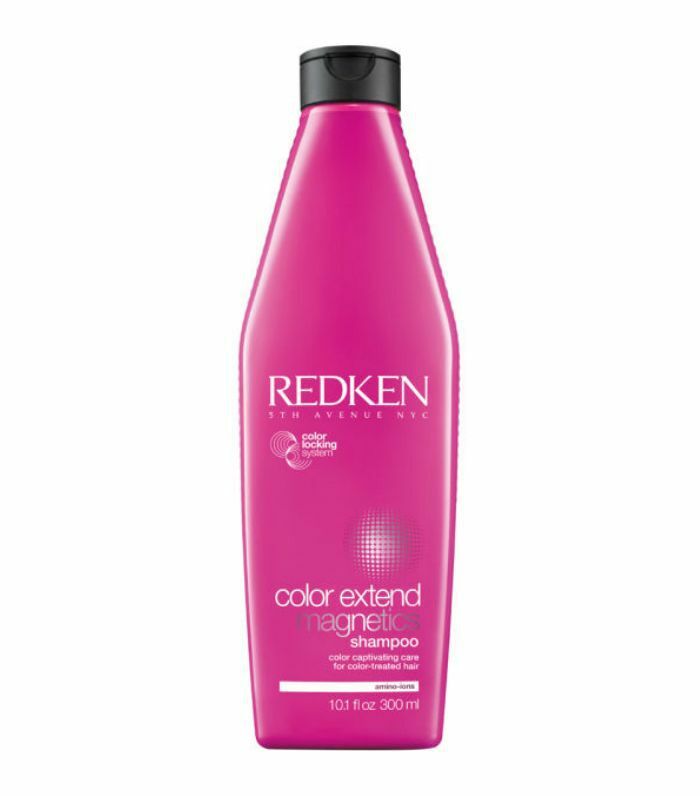 But to maintain the vibrancy of the pink tone for as long as possible, swap to a colour protective shampoo such as Redken's Colour Extend Magnetic Shampoo (£10). It may all be part of Josh's vision of next summer's biggest hair trends, but this might be exactly what we need to brighten up these grey skies right now. We're feeling a trip to the salon coming on. Not sure pink hair is for you? Check out the seven hair colour trends you'll be seeing everywhere this autumn.